This will be our 5th year doing a High School Bass Series. This is great chance for High School students to get out on a lake to represent their school as they try to land big bass. Registration is open (click on heading above). 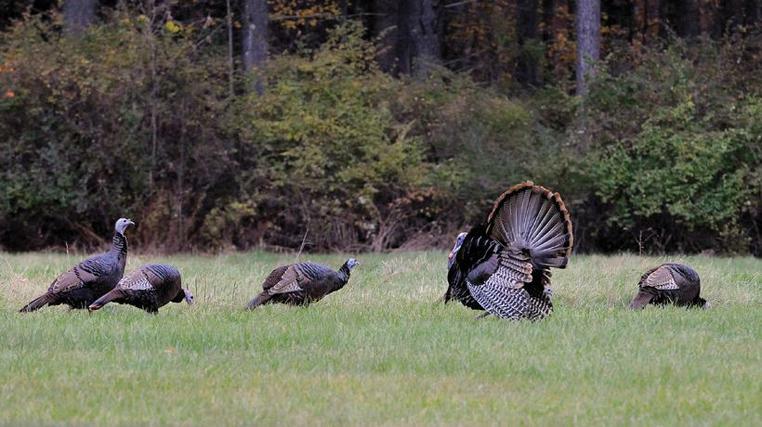 In May 16-19 2019 we will be doing a Turkey camp at the Pierson house in Pierson, MI. This is a fully guided hunt. The cost is $225/person or two people for $400. This includes, lodging, food and a great time. Join us on Saturday, June at the Grand Valley Cap 'n Ballers located at 3506 26TH STREET HOPKINS, MI. 49328. There will be 2 different skill levels. In the open you bring your own equipment and in the novice we provide you with the equipment. There is also 2 different age levels, 12 and under & 13-17 year. We will have a range open to practice on. You will need to sign up for a time slot to shoot the course. This can be done the day of the competition or online ahead of time. We will start shooting at 9:00 am and conclude with awards at 3:00 pm. There will be a free lunch from 11:30-1:30. The cost is only $10/competitor. We will be giving away lots of door prizes including air riffles. We are limiting it to the first 100 youth signed up. To register and pay click on heading above. This summer we are partnering again with Cran-Hill Ranch to offer a week long shooting camp. This is open for 13-17 year old kids. It is like a normal week at Summer camp with lots of time spent at the gun and bow range. This program will focus on all things Target Sports. This program is all geared toward the sportsman in you and will focus much of it’s time honing each campers’ skills and aim. Each day will include tomahawks, riflery, archery, and slingshots and firearm safety classes. We will also include 1 big shooting event each day such as pistol range or trap shooting to give each camper a variety of experiences. Don’t have any experience? No problem! There is no prior experience required! Whatever your skill level is our trained staff can teach you. This is one week that is sure to hit the mark! Please do not bring any personal firearms or ammunition. We will provide all firearms and ammunition for the week. Cost for the week is $420. Ask us about scholarships in needed. At SPI we believe that a life filled with adventure is good. We also believe that relationships are formed when people enjoy adventures together. We understand that not everyone shares the same relationship with God, but in this safe atmosphere, we can explore a new relationship with the one who made this amazing world. Some of you will be encouraged, refreshed, and renewed through these events. Our desire is that everyone can experience God in new ways by participating. The events that we offer are designed with the intent of maintaining an adventure that a person could enjoy and feel comfortable inviting their child, parent or friend.